My cruise on Legend was absolutely splendid. As a newcomer to Alaska, I didn&apos;t really know what to expect, but I loved every second of it. - I don&apos;t remember as much about the embarkation as I probably should, but it wasn&apos;t slow to my knowledge. Fairly average. - The ship was very nice, although dirty in some spots. I had sailed on her prior in 2014 and was able to re-fresh my memory. - We had booked an obscured balcony cabin, although we were only obscured from looking down. We could see directly outward perfectly fine. The cabin itself was fairly average, fitting a family of four. - I didn&apos;t go to many shows on this ship as at the time, they didn&apos;t interest me. I spent most of this trip traveling with my cousins, and that was more than enough. - The service was very good and the crew was nice. The cruise director was fun, too. 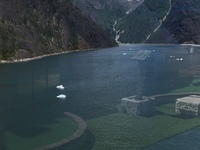 - The ports and excursions were probably the highlight of the cruise for me. From sailing through Endicott Arm, to zip-lining through treetops in Skagway, to exploring an authentic mine in Juneau, and even some traditional shopping, Alaska truly exceeded my expectations. I would definitely take this cruise again and would recommend it if you want to escape the intense summer heat, for a unique chance of pace. 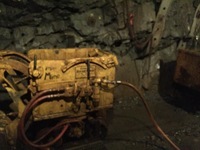 Mine tour in Juneau, this is one of the machines they used. 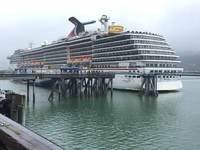 The beautiful Carnival Legend docked in Juneau. 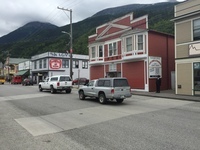 The town of Skagway. I remember I ate a donut here, it was quite good! 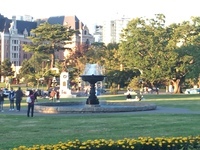 A fountain in Victoria, B.C. My cruise on Legend was absolutely splendid. As a newcomer to Alaska, I didn&apos;t really know what to expect, but I loved every second of it. - I don&apos;t remember as much about the embarkation as I probably should, but it wasn&apos;t slow to my knowledge. Fairly average. - The ship was very nice, although dirty in some spots. I had sailed on her prior in 2014 and was able to re-fresh my memory. - We had booked an obscured balcony cabin, although we were only obscured from looking down. We could see directly outward perfectly fine. The cabin itself was fairly average, fitting a family of four. - I didn&apos;t go to many shows on this ship as at the time, they didn&apos;t interest me. I spent most of this trip traveling with my cousins, and that was more than enough. 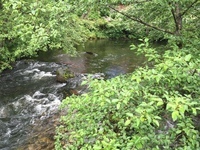 - The service was very good and the crew was nice. The cruise director was fun, too. - The ports and excursions were probably the highlight of the cruise for me. From sailing through Endicott Arm, to zip-lining through treetops in Skagway, to exploring an authentic mine in Juneau, and even some traditional shopping, Alaska truly exceeded my expectations. I would definitely take this cruise again and would recommend it if you want to escape the intense summer heat, for a unique chance of pace. I had an obstructed Balcony cabin. It wasn&apos;t that obstructed though, as I could see in any direction except down. The cabin itself was fairly average, with all the necessary amenities. We toured a Mine somewhere up on a mountain. The guide was very interactive and he even showcased some of the machinery in action. It was quite a memorable tour. We didn&apos;t do an excursion here, but we did rent some transparent cars to ride around the town. Ketchikan was a nice place, but we didn&apos;t have much time there because we had to leave early to make it to Victoria. We got a nice tour of the city that began with the Space Needle. It was a very in-depth tour that showed many parts of the city. It was a decent excursion, but the zip-lines were shorter than I thought they would be. I was satisfied despite this minor inconvenience. We arrived here late, and just walked around. Victoria was a very pretty place, but we didn&apos;t really do much other than walk.